Pileje Lactibiane Cnd 10M restores the vaginal and intestinal flora and prevents recurrence. 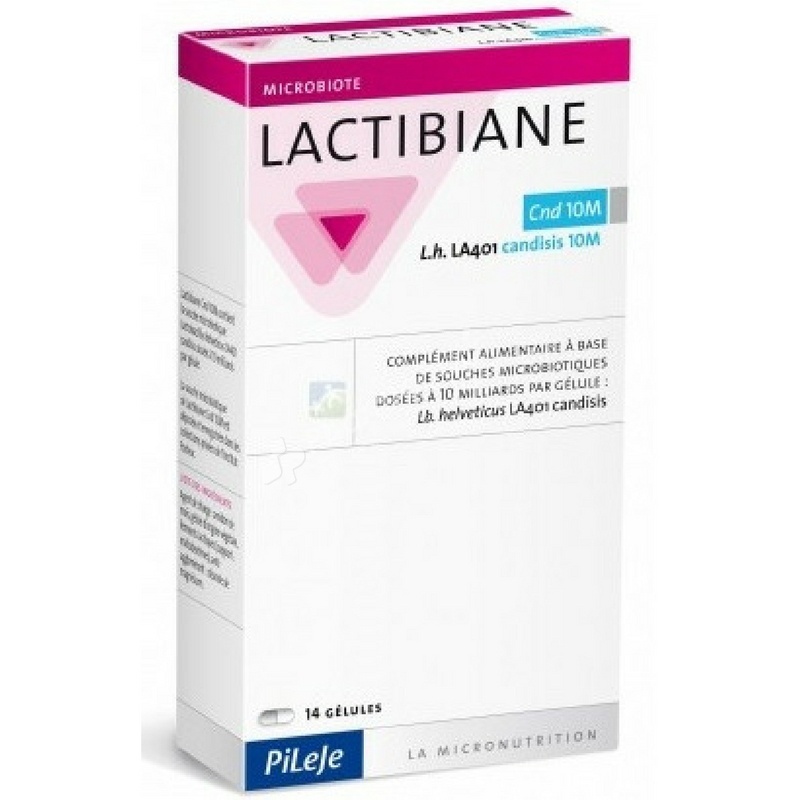 Lactibiane Cnd 10M allows you to find an intestinal comfort. Taken as possible during chemotherapy. Food supplement based on microbiota strains dosed at 10 billion per capsule. The Lactibiane CND is composed of the microbiota strain Lactobacillus helveticus candisis LA 401 concentrated 10 billion per capsule. 2 capsules per day, to be swallowed with a full glass of water, preferably before meal. Filler, corn starch, vegetable capsule, lactic (carrier: maltodextrin), anti-caking agent: magnesium stearate.